Over-the-counter (OTC) cold medicine consumers in a number of states could become unwilling participants in the perpetual war against methamphetamine as legislators consider bills that would require prescriptions for OTC preparations containing pseudoephedrine, a precursor chemical used in meth manufacture. But the moves are raising alarm bells among some economists and the OTC industry, which is touting its own electronic tracking system as an alternative. By prescription only? Maybe in Kentucky, Nevada, and Tennessee. 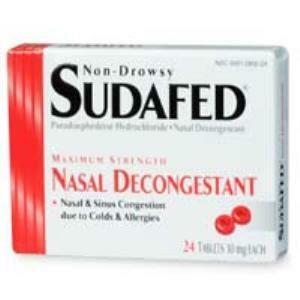 The sale of OTCs containing pseudoephedrine, such as Sudafed, is already restricted under the federal Combat Methamphetamine Epidemic Act, which went into effect in 2006. That act requires that such preparations be kept behind the counter, that customers must present ID, that purchases be entered into a logbook accessible to law enforcement, and that purchases be limited to 3.6 grams per day or 9 grams every 30 days. A number of states have enacted their own precursor tracking laws, and they were at least temporarily effective at reducing the number of meth labs. But as the Associated Press recently reported, those laws are increasingly ineffective, as meth producers enlist armies of "smurfs" to purchase products containing pseudoephedrine within legal limits, then pay them black market prices for their cold pills. Two states -- Oregon and Mississippi -- have enacted laws required prescriptions for such products and are able to point at reductions in meth lab busts as an indicator they are working. 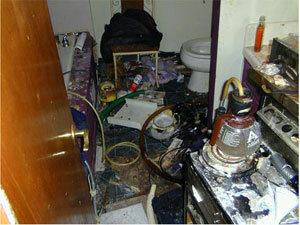 Oregon reported that meth lab busts dropped from 190 in 2005 to 12 in 2009. Now, legislators in at least three states -- Kentucky, Nevada, and Tennessee -- want to enact similar prescription laws. The Consumer Healthcare Products Association (CHPA), which represents the multi-billion dollars OTC industry, is fighting back, and it's not alone in criticizing the measures. "This is just stupid," said Jeffrey Tucker, an economist at the libertarian-leaning Ludwig von Mises Institute and a long-time critic of what he calls the "War on Sudafed." "It hurts innocent people and rewards the dealers. Requiring prescriptions for Sudafed will just increase the buy-sell spread between the retail price and the street price and provide an even greater incentive for people to traffic. Lawmakers may want to stop meth production, but it's not going to work. If lawmakers could snap their fingers and make everybody lead a good, healthy life, I'm sure they would, but they can't." Not only are the efforts to control pseudoephedrine counterproductive, they also harm millions of innocent consumers, Tucker said. He pointed to the effects of already existing restrictions on purchases. "Before the restrictions kicked in, people were buying it to make meth, but meth usage wasn't any worse when President Bush began this than it was a decade earlier," said Tucker. "It wasn't exactly a big crisis. Only after the restrictions did meth become a major national problem, because it then became an incredibly profitable enterprise. It was now scarce, producers had reason to involve even more people, and they could afford to do so. Now, there are large communities involved in collecting Sudafed to make meth, and there is a strong incentive for producers to find even larger markets. The whole thing has backfired," he said. If governments insist on continuing down the path of trying to repress meth production by restricting access to precursors like pseudoephedrine, then requiring prescriptions is the logical next step, said Tucker. "But that won't work either, because anyone can go to the clinic and get a prescription, but now the stuff will be worth its weight in gold. This is a classic case of a bad policy backfiring, with many innocent victims. There is just no end to this. We keep increasing the misery and the coercion in the name of the drug war, and it doesn’t help the drug war." While Tucker questions the whole logic of drug prohibition, the CHPA accepts that logic, but is seeking to minimize harm to its members who peddle the remedies, as well as the tens of millions of consumers who use them to fend off cold and allergy symptoms. Those consumers face having to go and pay for doctor's visits in order to get something they are currently able to buy by walking up to a counter. The CHPA is pushing NPLEx, an industry-funded, real-time, electronic tracking system. The system is already in place in 12 states, including Kentucky, where the CHPA says it is blocking the sale of about 10,000 grams a month of pseudoephedrine. "NPLEx is the better alternative to prescription status for PSE [pseudoepehedrine] that results in no new barriers to consumers, imposes no new costs on the healthcare system, allows the state to keep sales taxes generated by OTC PSE sales, meets the law enforcement goal of preventing illegal sales of PSE, and is provided to states and retailers at no charge," the association argues. But that's not stopping lawmakers, prodded by law enforcement, from proposing the precursor prescription bills. In Kentucky, the bill is HB 15 (with identical companion bill SB 45); in Nevada, Sen. Sheila Leslie (D-Reno) will push an as yet un-filed prescription bill, and in Tennessee, lawmakers are likely to file both a prescription bill and a competing electronic tracking bill in the next few days. For economist Tucker, lawmakers are engaged in quixotic, fruitless, and even counterproductive effort. "There are 50 different ways to make meth, and the drugs get ever more dangerous," he said. "Meth is a dreadfully dangerous drug anyway, but when you relegate it to amateurs cooking it at stoplights, it's catastrophic." America loves its stimulants, as a glance at any Starbucks filled with happy caffeine-guzzlers or convenience store aisle lined with "energy drink" products will demonstrate. Perhaps instead of trying to repress methamphetamine, we could try to regulate it. But that's a very hard sell for what is arguably the most demonized of America's demon drugs.